Working with the Seattle Mariners (baseball team) to make announcements during the week of May 6-10. 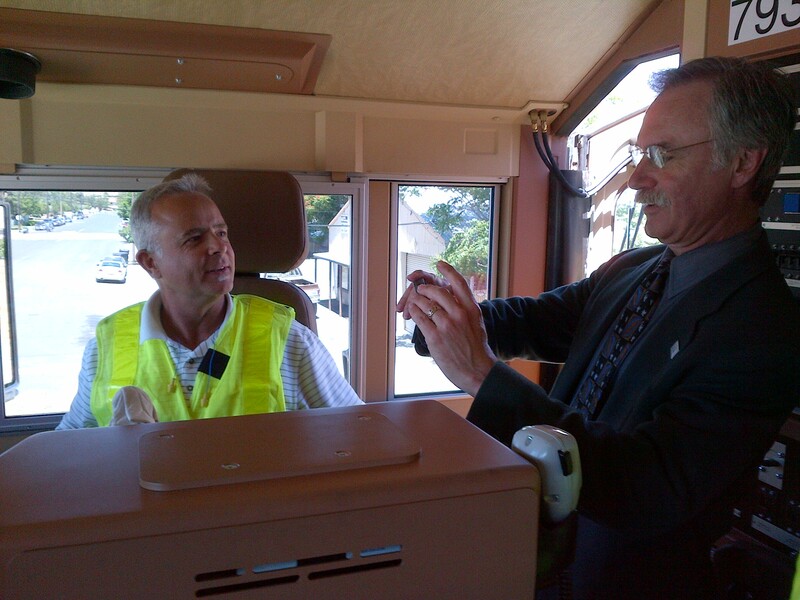 Have law enforcement personnel on locomotives and at grade crossings to see if there are any grade crossing violators. Inviting news media to scheduled Operation Lifesaver training and safety presentations. Whatcha gonna do when CP’s cops come for you? Canadian Pacific Police Service officers were out in force on May 7, Operation Lifesaver’s International Level Crossing Awareness Day, at five locations along the railroad’s U.S. network to enforce grade-crossing safety laws. Wauwatosa, WI – CP Police to work crossings and pass out OL materials, working detail noon-1600 with Wauwatosa PD. 62nd / 68th / 70th / 72nd/ Harwood / 115th Street crossing. No Officer on a Train this year. Davenport, IA – CP Police working crossings and handing out OL materials. No Officer on a Train this year. Bensenville, IL - CP Police will work with Bensenville PD at crossings off of York/Irving Road, hand out OL materials. No Officer on a Train this year. Winona, MN - Officer on a Train. CP media attending and coordinating with the local media. Minot, ND – CP Police will work crossings and pass out OL materials. “Motorists and pedestrians who engaged in unsafe behavior received citations and warnings, as well as reminders of how important it is that they follow the law,” CP noted. Enforcement actions took place in Bensenville, Ill.; Wauwatosa, Wis.; Davenport, Iowa; and Minot, N.D. Additionally, CP hosted an Officer on a Train event (pictured) in Winona, Minn., in conjunction with the Winona Police Department and the Winona County sheriff’s office. A deputy aboard the train radioed the description of violators to officers in nearby squad cars, who then stopped offending motorists and pedestrians. The Canadian Pacific Police Service is a police agency created by Federal Statute with full federal and provincial powers. CPPS officers are peace officers as defined by the Criminal Code. The CPPS plays an important role in public safety and enforcement in the communities where Canadian Pacific operates. CPPS officers typically promote public safety through trespasser abatement patrols, enforcement of traffic legislation at railway crossings, and participation in education activities to raise awareness of community safety issues. The CPPS also help to protect the critical infrastructure of Canada and the U.S. by ensuring supply chain security and ensuring the operational efficiency of the transportation network. 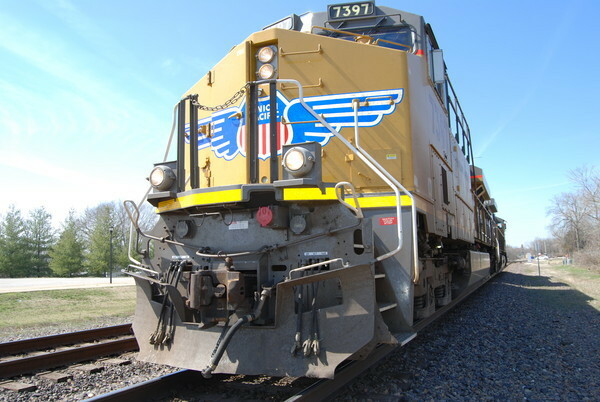 In 2012, the Federal Railroad Administration recorded 1,960 grade-crossing incidents in the U.S., resulting in 233 deaths and 921 serious injuries. Additionally, the agency reported 438 deaths caused by trespassing on railroad property. Both actions are offenses under state ordinances. 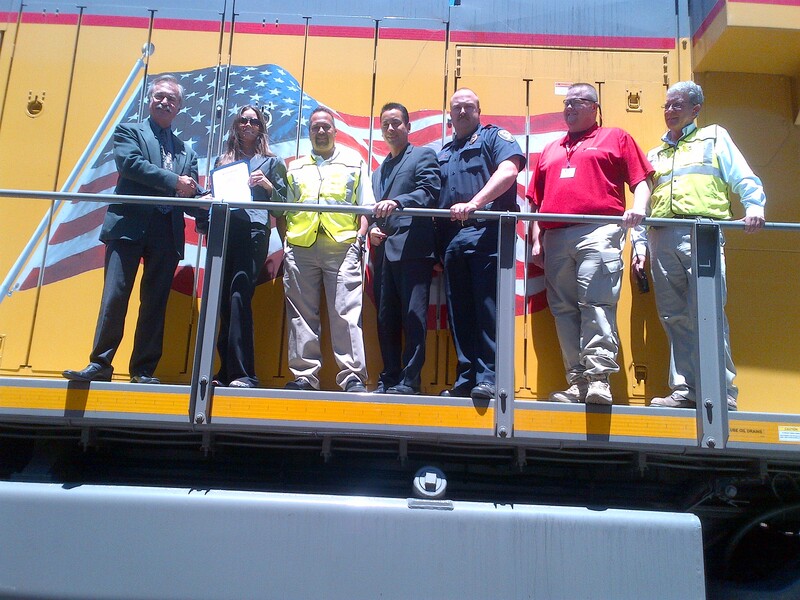 Photo: Participants in the International Level Crossing Awareness Day Officer on a Train event at Winona, Minn., from left: Winona County deputy sheriff William Spitzer; Brenda Rivera, community relations adviser for CP; Winona Mayor Mark Peterson; Tracy Graves, special agent, Canadian Pacific Police Service; Kevin Kearney, community liaison for Winona Police Department; Jim Schjolberg, Winona police officer.